Young SWRD, on his return from Oxford, England in 1925, professed the case for a federal structure for Sri Lanka, and made it the main slogan when he formed a political party named, the Progressive Nationalist Party. In his articles that appeared in the Ceylon Morning Leader between May and June 1926, Bandaranaike, not only argued for a federal structure, he also spoke in favour of what he called ‘External Federation’, in Ceylon as a unit or a state in a regional federation of states. West Ridgeway Dias Bandaranaike joined Christ Church College, Oxford in 1919. A year later studying classics for his Bachelor’s degree, he was allotted a room to be shared with Anthony Eden, who later became prime minister of England. From classics he switched to law and became an active member of the Oxford Student’s Union and made eloquent speeches on democracy, government policies and parliamentary systems. Bandaranaike became secretary of the Oxford Union in his fourth year. Named ‘West Ridgeway’ after his godfather and Governor of Ceylon, Sir Joseph West Ridgeway, he was born to anglophile Christian aristocratic family and was affectionately called ‘Solla’, among family circles, and ‘Banda’ to political colleagues and the press. In her work, ‘Relative Merits’: ‘A Personal Memoir of the Bandaranaike Family of Sri Lanka’ (C.Hurst & Co, London-1986) Yasmine Gooneratne, nee Bandaranaike, traces the ancestry of Dias Bandaranaikes and describes how an Indian officer ‘of high standing’ migrated in the 16th century, served under Kandyan kings. He bore the name Neela-Perumal, and was made high priest of the temple dedicated to God Saman, and commanded to take the name of ‘Nayaka Pandaram’ in 1454, meaning chief record-keeper. ‘For convenience in usage, it became ‘Pandara Nayake’, and with times, the ‘P’ was substituted with a locally palatable B; thus ‘Bandara Nayake’ that later evolved as Bandaranayake. “The Pandarams, Brahmins of India are the record keepers of the court and family”, adds Gooneratne. "Named ‘West Ridgeway’ he was affectionately called ‘Solla’, among family circles, and ‘Banda’ to political colleagues and the press"
He was sent to S. Thomas’ College, for his secondary education where he moved into the warden’s bungalow instead of the hostel Hostel. Back in the island SWRD entered politics which brought him in touch with with powerful leaders of the elite and ultimately with the more modest,who presented him with links to the under privileged masses-villagers. During that period, the state conducted its affairs entirely in English when only eight per cent of the population was literate. His own family enjoyed pride of place among island’s British rulers and a small group of wealthy, high caste, highly westernized, Christian elite. This was a sophisticated ensemble, under whose hands power lay when West Ridgeway launched his political carrier later playing the pivotal role in nation’s modern transformation. He rejected the legality of British rule, compelling him to deny his father’s role as a staunch supporter of the Colonial regime; he sustained an uncomfortable truce with colonial administrators. However, the leading nationalists of the day were suspicious of the young man whose father and ancestors ridiculed them. From 1936 he served in a Cabinet of ministers led by D S Senanayake, the designer of independence in 1948, a chapter that ended when DS and his men made sure the exit of SWRD from independent Ceylon’s cabinet in 1951. SWRD changed his faith and thinking subsequently. He possessed, to some extent, socialist leanings, paradoxically became extremely perceptive to Sinhala-Buddhist aspirations in later years. “At a time when the desire for self-government appears to be growing ever stronger, and successive installments of ‘reforms’ seem to bring that goal almost within sight, two problems of vital importance arise, which require careful and earnest thought. The first is the question of Ceylon’s external status, that is what is her position as a nation in relation to other nations. The second is her internal status, the adoption of a form of government which would meet the just requirements of the different sections of her inhabitants. No effort has yet been made seriously to consider these problems, nor indeed in some quarters is it realized that the problem exist at all! There is the usual vague thinking, there are the usual generalizations, to which politicians are only too liable, the catch-words are the bane of politicians all over the world… in Ceylon we find in constant use, such phrases as “co-operation, ” “self-government,” cabinet-government,” without any clear understanding of either what they really involve or whether and to what extent, they are applicable to our own particular difficulties. "He possessed, to some extent, socialist leanings, paradoxically became extremely perceptive to Sinhala-Buddhist aspirations in later years"
His proposals for internal federation or a federal structure for Ceylon were outlined in a lecture he delivered in Jaffna entitled, “A federal government for Ceylon” on July 17, 1926. His model was based on structures in South Africa, Australia, Canada and Switzerland. However, the six articles dealt in detail the idea of an ‘External Federation’, more than with a federal structure for Ceylon’s government. Bandaranaike was a member of that category of Asian and African politicians who steered their countries over the transition from colonial rule to freedom and helped to introduce and develop new forms of politics. It is more fitting to include SWRD’s name in a list of second generation post-independent leaders, who followed the first generation men like, Sukharno, Nkrumah, Nehru, Nasser, Nyerere and Lumumba. A man who had been brought up a Christian amid luxury at the summit of social order, and studied at Oxford, and yet he had abandoned the costly passions, past times, food and drinks of the anglicized privileged class, and of a comfortable life as a government top official and heir of the family estate. He chose now to live simply, and had taken up the language, the religion and the cause of the ordinary man, [but did not lose his interest in Tennis]. He made pronouncement on Sinhala-Buddhist cultural heritage. His comments appeased the thoughts of weakness among the locals who were reassured that a man with Western intellect and education, found their much maligned cultural tradition as rich and valuable as that of the West. As Prime Minster he spoke of present age of transition and of progress towards a better world, and his government sought to enact numerous reforms. In the 1930s and 1940s SWRD had turned from federalism to decentralization [Provincial Councils]. As minister of local administration 1936-47, he advocated a system of PCs as Nation’s local government system. However, Bandaranaike failed to take advantage of the consensus of the State Councillors to this in 1940. The period 1940/41 were tricky ones for him; he could have been fired by Governor Caldecott for his indiscreet comments on war efforts; legislation was being considered at London’s Colonial office for this purpose when his father, the Maha Mudaliyar intervened and appealed to the Governor on his behalf. This incident caused him to adjust his interest from devolution to succession to the leadership. D B Jayatillake was aging and DS was the obvious choice for replacement. SWRD was thinking of consolidating his position as number two. He was building up his Sinhala Maha Sabha for the purpose. Thus a great opportunity was lost; PCs that received unanimous approval at State Council for establishing them never saw the light of the day. Was Bandaranaike ‘An Expedient Utopian’? A combined power of Sanga-Veda-Guru-Govi-Kamkaru, [‘Budhist clergy, aryuvedic physicians, teachers, peasants & workers’] organized under SLFP’s ‘Pancha Maha Balavegaya’, who steadfastly supported SWRD Bandaranaike to power at 1956 elections. Some of the stalwarts of this group were impatient; they have been pressing for quick action in effecting changes, while others expected special patronage on dealings. Bandaranaike was obliged to accomplish the common man’s requests and the nationalist force’s objectives, and the force applied by them for speedy results, are evident in the following statement by his official secretary. “SWRD, correctly surmised that the average bureaucrat mostly carried out faithfully,… therefore, somewhat slower than his followers expected, shifting out of those who they felt were ‘henchmen’ of the former regime. …I once heard him, “I have only just taken control of the wheel. I can’t, my dear fellow change all the parts at the same time or I won’t be able to move at all. I will replace the brake first,…carburetor next and so on … you must give me time”. – - ‘Rendering unto Caesar’- Bradman Weerakoon, UK (2004)-pp 22/23. The Western form of thought and habits were changed with introduction of local traditional practices. In many instances, SWRD had to settle personal disputes policy issues within members of the party. An unprecedented ‘Cabinet strike’ orchestrated by Health Minister, Wimala Wijewardene, [who was named 6th suspect in the murder case] was a catastrophe he faced during his relatively short rule of 1956-59. 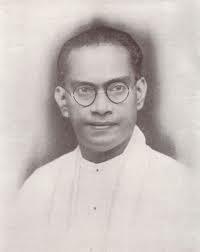 SWRD understood the importance of correcting unfairness and injustice caused to minorities over his Official Language Act; through an enactment called, ‘Reasonable Use of Tamil as a working language’, a result of a pact with SJV Chelvanayakam, his school mate and leader of main Tamil party, [ Bandaranaike-Chelvanayagam Pact of ‘58]; but was forced to abrogate it following an enormous protest planned by his five-fold Sinhala-Buddhist chauvinists opposite his residence, while the United National Party, organised island-wide movement against it. Some of the Sangha-Veda, [Buddhist priests and Aryuvedic physicians], the first two categories of Pancha Maha Balavegaya that elevated Bandaranaike to the zenith, had him murdered when he denied them of special state favours for their nefarious activities. Head of Kelaniya Temple, Mapitigama Buddharakkitha was one of the main architects of SWRD’s election campaign and victory, he wanted to import rice from Burma through his shipping company, to which two senior cabinet ministers opposed . The Prime Minister appreciated his minister’s advice. Tenders were called for purchase of two ships— the priest attempted to obtain the tender through his influence. PM absolved himself from interfering in the affair. The disgruntled man conspired with, H P Jayawardene, an Aryuvedic physician from Kolonnawa, also a staunched supporter of SLFP. They connived with Somarama, an Aryuvedic lecture, and an extremist Sinhala nationalist, by impregnating in him the idea that SWRD is a traitor who is planning to ‘sell the Sinhala nation and race to Federalist Chelvanayagam: Somarama was convinced. A murder of a political leader was an unusual happening in the island nation until 1959, when the Prime Minister was shot on September 25, and the reasons that prompted and forced the conspiracy, and the cold-blooded assassination denotes a remarkable transformation of political and cultural environment, in Ceylon. “…that morning, I went to Rosemead Place, the Prime Minister was talking to another monk. I occupied a seat at the end of the verandah, and then he came up to me and inquired why I had come …I shot at the Prime Minister once. That shot struck him. He started running into the house, I followed behind him and fired three more bullets. Someone shot me as well and I lost consciousness. I do not remember what happened next”. —Thalduve Somarama--first accused made the above statement from the dock.